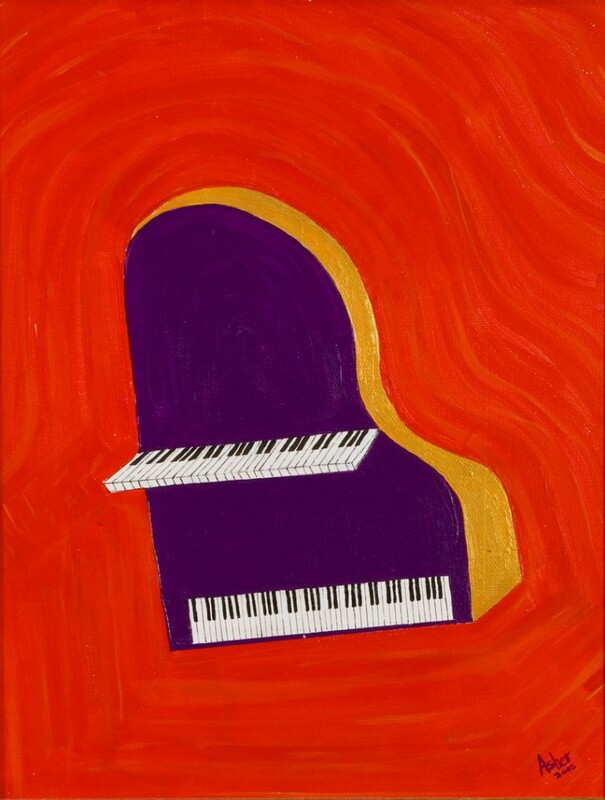 Upright Grand was an important piece for me; it was my first attempt at representing a grand piano. It may even be the last upright piano that I’ve done. Because geometry is such a key component of my approach to visual concepts, the curve of the grand opened up a new of possibilities for me, leading to a very productive period featuring new directions and instruments.